The Division of Facilities Services includes Statewide Public Facilities (Design & Construction) and Maintenance & Operations to support multi-departmental facilities statewide. The Maintenance & Operations section support facilities statewide from three major geographic hubs: Anchorage, Fairbanks and Juneau. The section is staffed by over 100 maintenance personnel of various specialties. 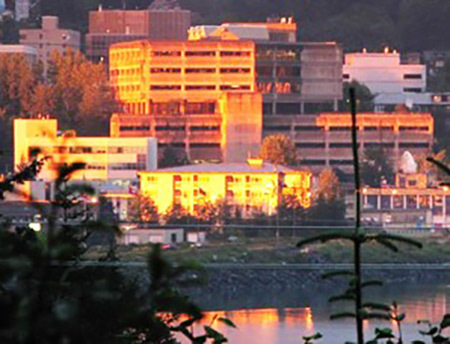 Division of Facilities Services delivers, improves, and maintains safe and efficient facilities across Alaska. Alaska’s DFS strives to be the premier facilities service provider. Our team is inspired to provide the best possible service to our customers. We collaborate to share knowledge and move forward together. We leverage technology and industry best practices to optimize our facilities and make evidence-based decisions. Integrity: Doing the right thing, even when no one is watching. Doing what we say we are going to do. Excellence: Commitment to continuous improvement, innovation and quality. Respect: Unconditional positive and professional regard for team members: customers, stakeholders and coworkers. Service: Going the extra mile to meet the needs of our customers and prepare Alaska for the future.